An Easter card that is great for adults and children. 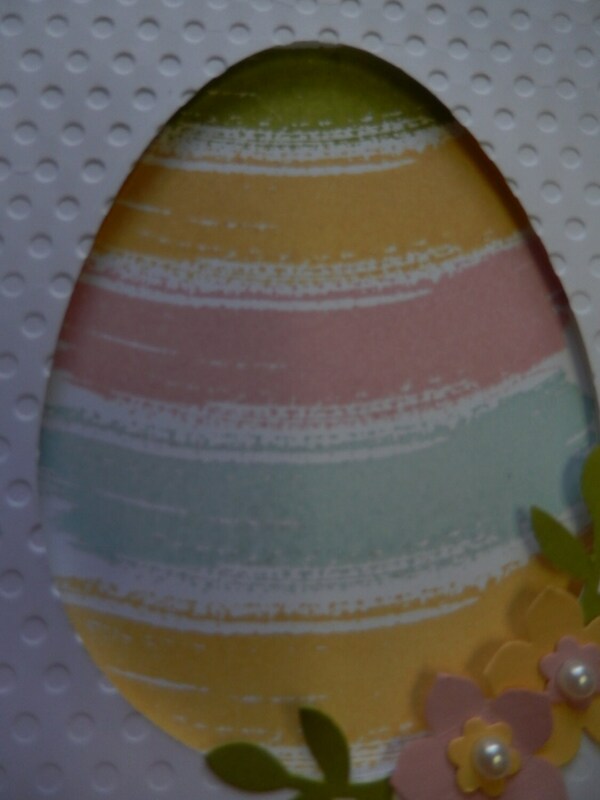 An egg is die cut from white cardstock which is then dry embossed with random dots for added texture. A stamp and 4 colors of ink are used in a striped fashion to resemble watercolor brush strokes. 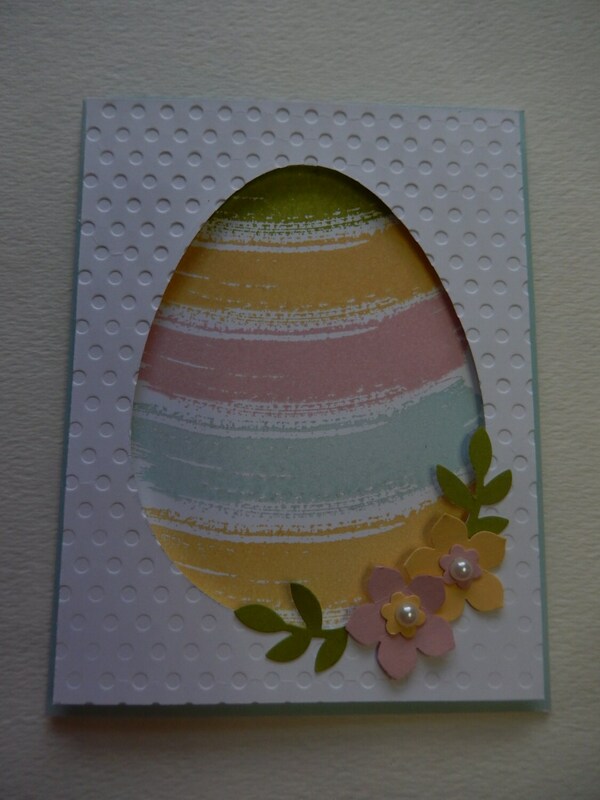 The oval cardstock is adhered to the pastel stripes with pop dots. 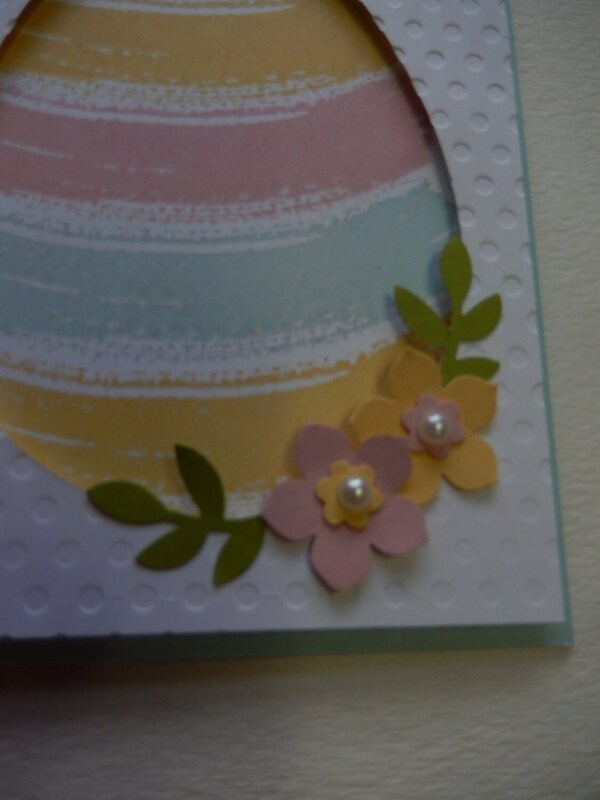 Flowers with pearl centers and leaves are punched out and added for finish off the card. 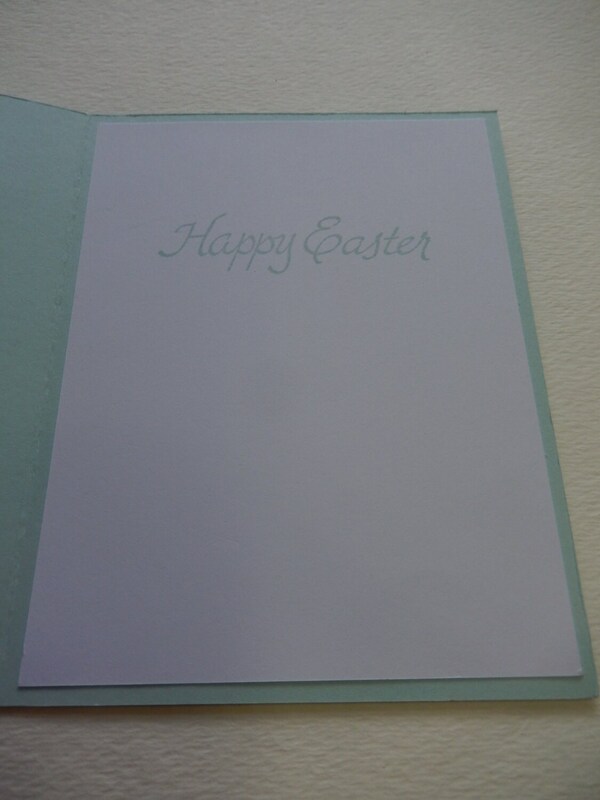 The inside of the card reads "Happy Easter". The card measures 4 1/4" x 5 1/2" and comes with a white envelope. It is shipped in a cellophane envelope and comes from a smoke free environment.